Lunatik Taktik Extreme Case Samsung Galaxy Note 9 is a protective case designed to provide ultimate protection as well as being dust and water-resistant, the Extreme case Samsung Galaxy Note 9 is comprised of protective aluminum material shell with a special poly-carbonate impact truss to help prevent impact damage and scratches appearing on your device. 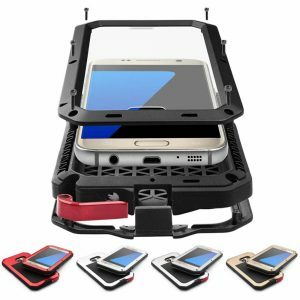 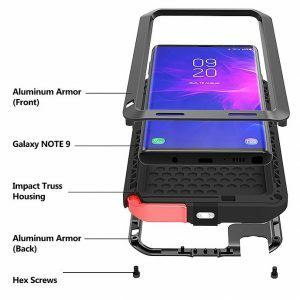 Protect your New Galaxy Note with one of the toughest protective case on the planet – this is the Extreme Protective Case. Compatible with the Samsung Galaxy Note 9. With shockproof rugged protection and high impact ballistic bezels, the case has a low profile pocketable construction, the extreme protective case for the Samsung Galaxy Note 9 offers powerful protection with its purposeful design. 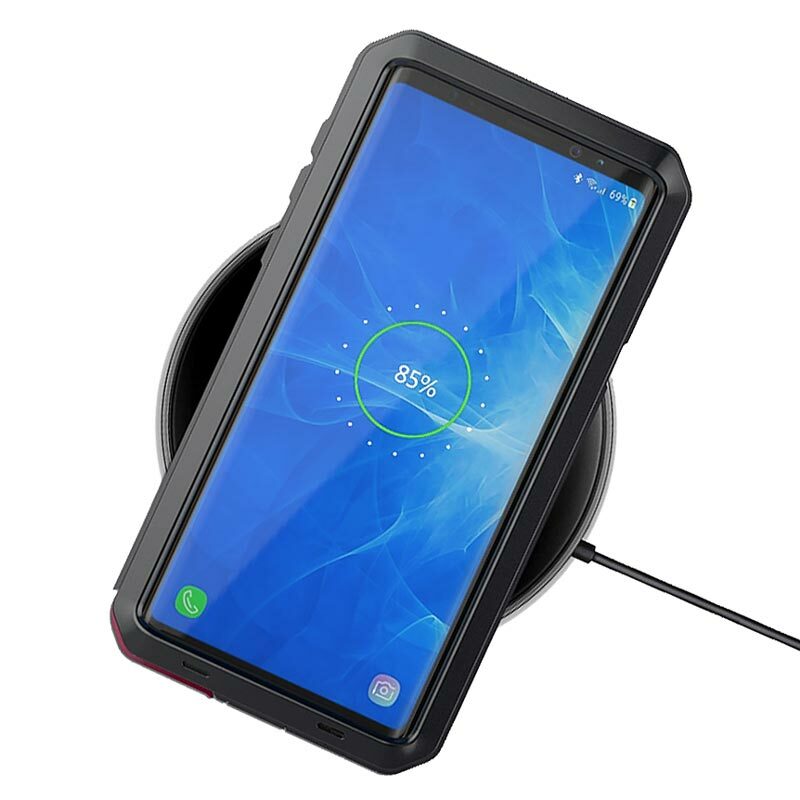 The charging and headphone ports within the case are protected to keep out unwanted dust and grit, giving you full access, whilst offering great protection. 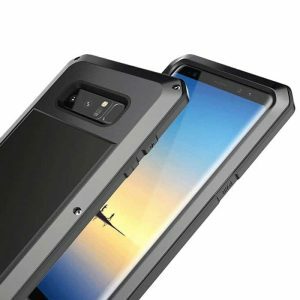 Even though your Samsung Galaxy Note 9 will be fully protected, the Extreme Case still allows access to all the ports and features of your device and will not interfere with the proximity sensor. 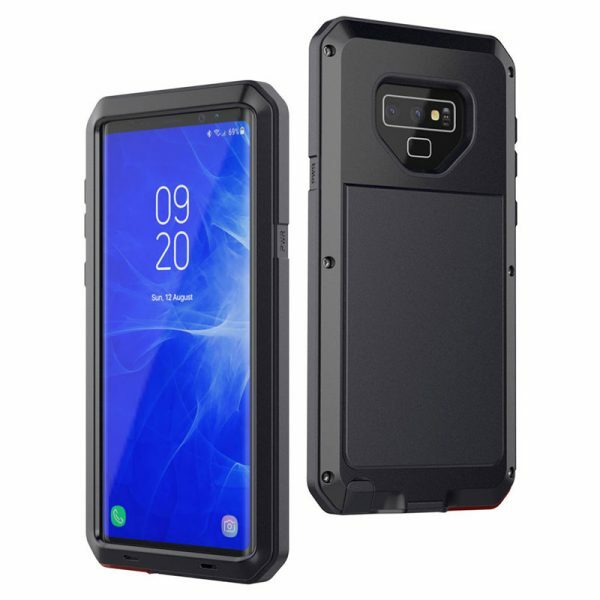 With the built-in lanyard loop, the Lunatik Taktik Extreme Case Samsung Galaxy Note 9 can be attached to your wrist or other secure location with ease. 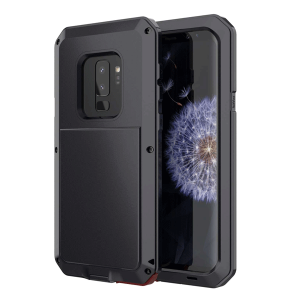 Precise cut and design allow easy access to all ports, sensors, speakers, cameras, charging port, headphone jack and all Samsung Galaxy N9 features. 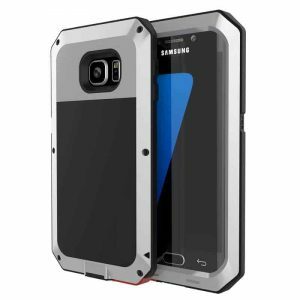 Multiple class protection with super cooling performance based on cellular design for quick cooling. 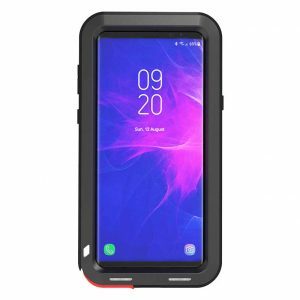 Easy to put on and easy to take off. 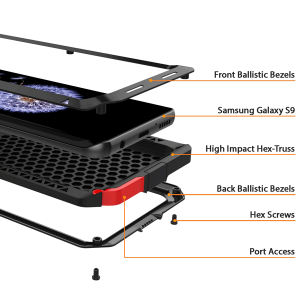 Hex screwdriver included to remove/install the screw on the side of the face. 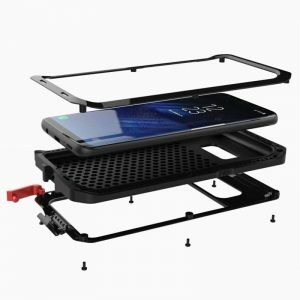 The heightening design of metal shell is higher than the mobile Phone screen to avoid direct impact to screen, greatly reducing the risk of shattered or damaged screen. 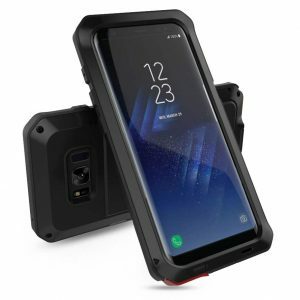 Protects the camera from scratch and possible drop damage. 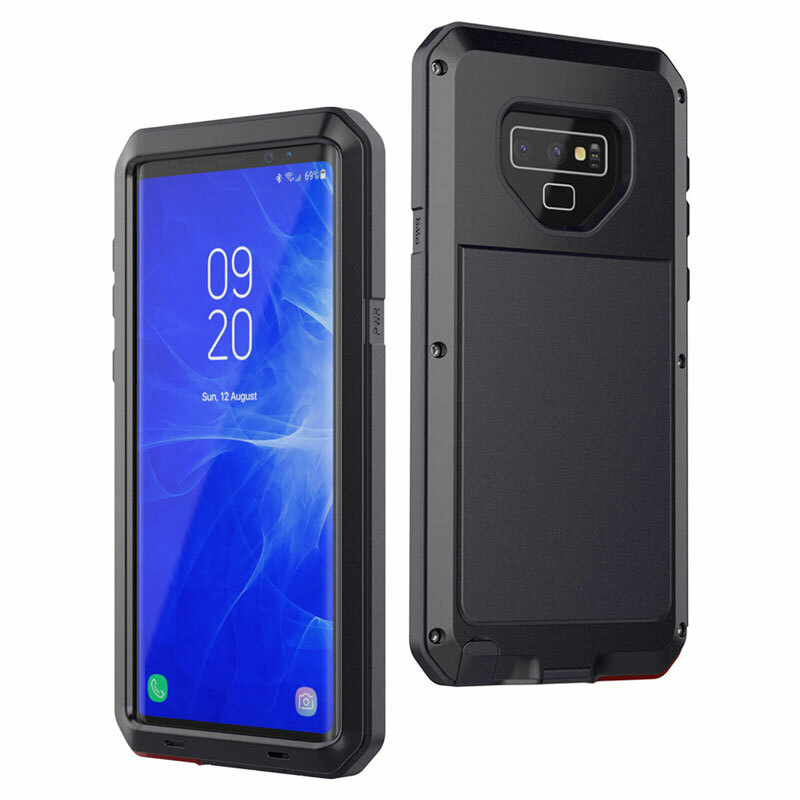 No need to ruin the look of this elegant phone with a case full of conspicuous logos. Made for professionals, this case has near zero branding and a clean design. 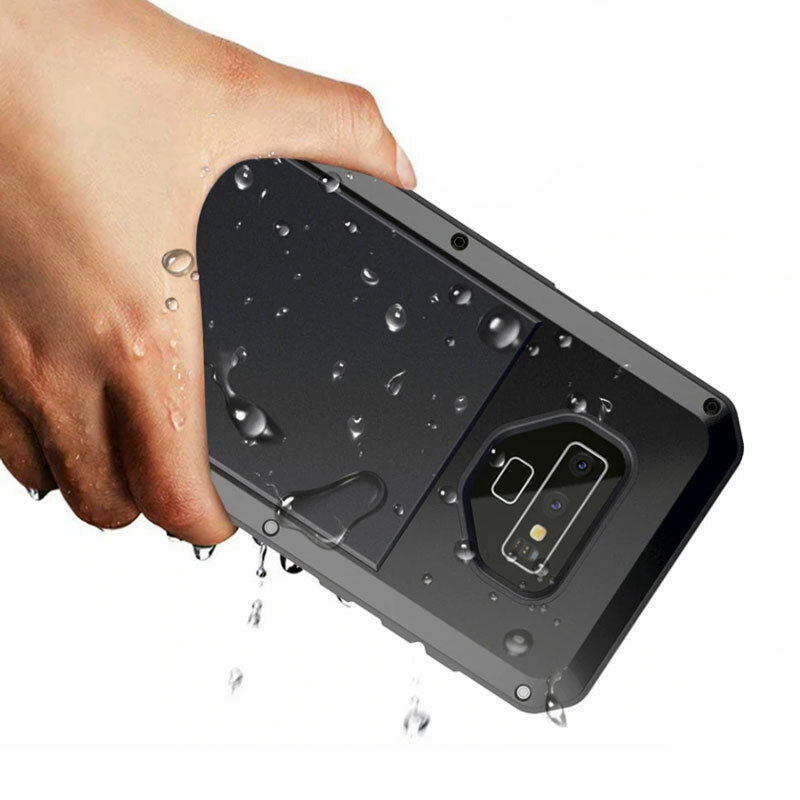 Weather proof – can simple protect your mobile from the rain or the sudden water splash. 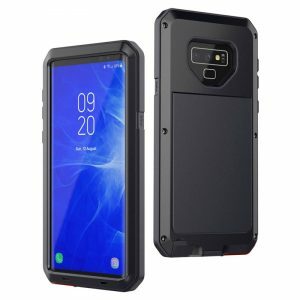 Due to the unique curvature of the Samsung Galaxy Note 9 screen, the case does not come with a built-in screen protector. 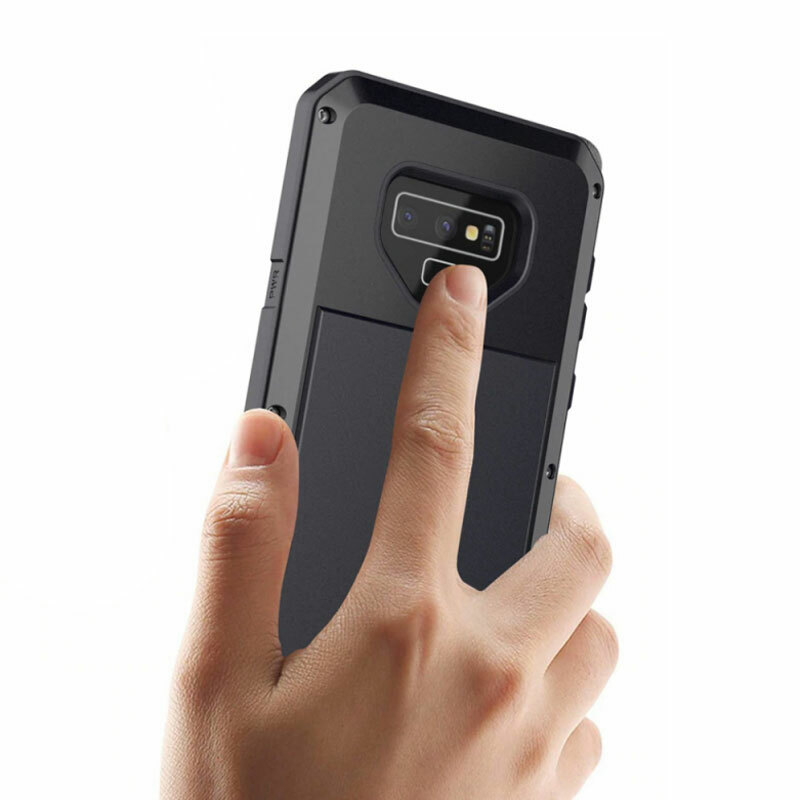 But, the case can be used with an external screen guard which we are giving free with this case.